Its International Day of Happiness!!! Today is all about being happy – Its the official International Day of Happiness. I personally believe that happiness is a choice. If we allow our circumstances to dictate whether or not we are happy, there are going to be ‘some’ who will live their whole life as a sad sack of potatoes. I personally have an issue with that mindset! Obviously there are times in our lives where circumstances do weigh into how we feel. A passing of a family member or a friend, or a loved one leaves and lives in another country, a business deal going sour, maybe our dreams haven’t come to fruition? All of these reasons do make us sad. After all we are only human! However, it is important to pick ourselves up, dust off our knees and take the first step back to happiness. When I logged onto facebook this morning, and I scrolled down my facebook page I couldn’t help but smile. I found out that it is the official ‘International Day of Happiness’! Doesn’t that make you want to smile. I’m not a rebel so I couldn’t be solemn if I tried. If you told me I was forbidden to smile…well you may as well shoot me! I can’t help it. 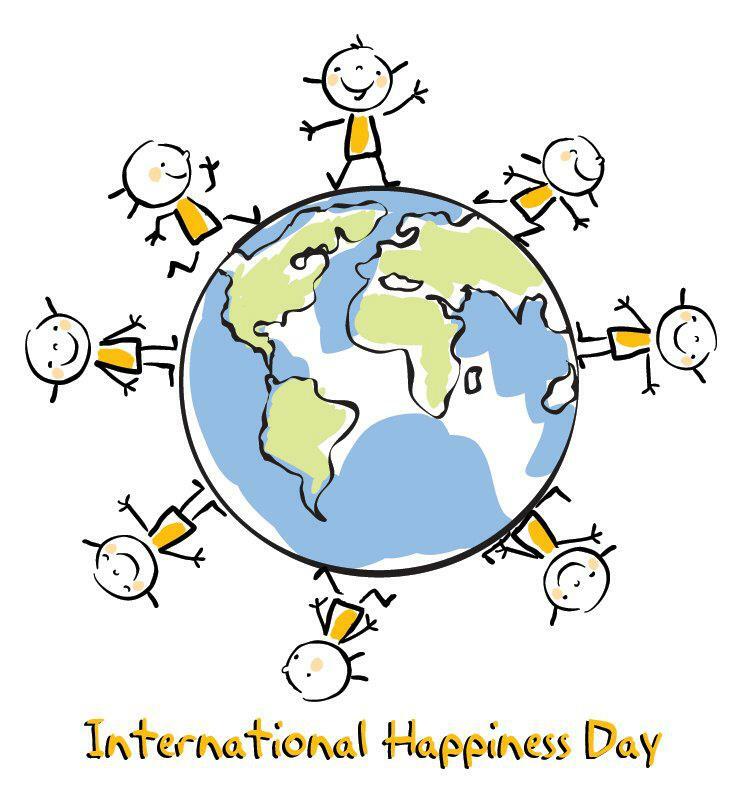 The words ‘International Day of Happiness’ is all about being happy, finding happiness, and choosing happiness. If your choosing to be happy despite your circumstances, some of you may need to force a smile – but smile anyway. Forced happiness is cool! One of my favourite sayings is ‘Fake it till you make it!’ Some days when you get up and feel that your a little out of balance with the world – it is really important to make that simple decision – You that you are going to be happy despite the circumstances. I remember when I was a kid, my mum used to tell us every morning that we were going to have a good day. I did not realise it then – but we usually did have a good day. When our eldest daughter was born, and I was struggling through with a little post natal depression, I remember saying to Amy every morning that we were going to have a great day together, and we did. I think there is a lot of power in our words, and I realised how much power we had in our words and in our attitudes, when I was getting through the post natal depression time in my life. Ten years and almost 5 months later I still tell the kids every day that we are going to have a good day. Sometimes for extra measure I tell them that we are all going to listen, speak nicely to one another and be well behaved too (why not – can’t hurt can it? LOL). A friend of mine posted this picture to facebook, and I had to borrow it for my blog post. 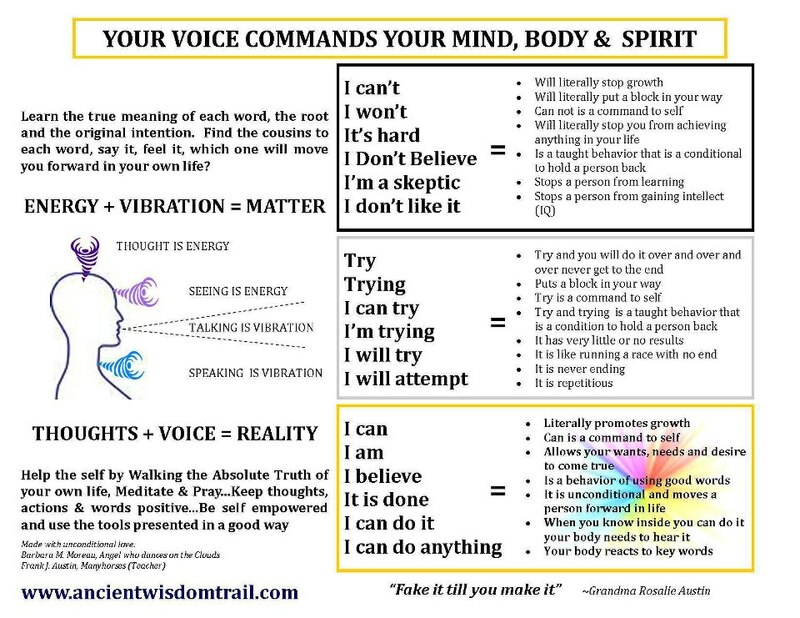 I wanted to show you how much power is in our thoughts, our attitudes and in our words. So we have a choice! The question is, what are you going to choose? What would you like your life to look like? Would you like to walk with a spring in your step and happiness coming from your heart, or would you prefer to walk around with your shoulders steeped and sadness or anger radiating from your being? I know what I prefer!!! If you are feeling sad today, make the decision that despite your circumstances you are going to be happy. Focus on something that does make you happy. Be positive, and go and do something for somebody else. Research has proven that when we go and do something for somebody else Seratonin in our bodies is released and this helps with lifting depression. So instead of just one person feeling good, there are two people – you and the person you have helped! I think happiness is contagious. Go and pass it on!